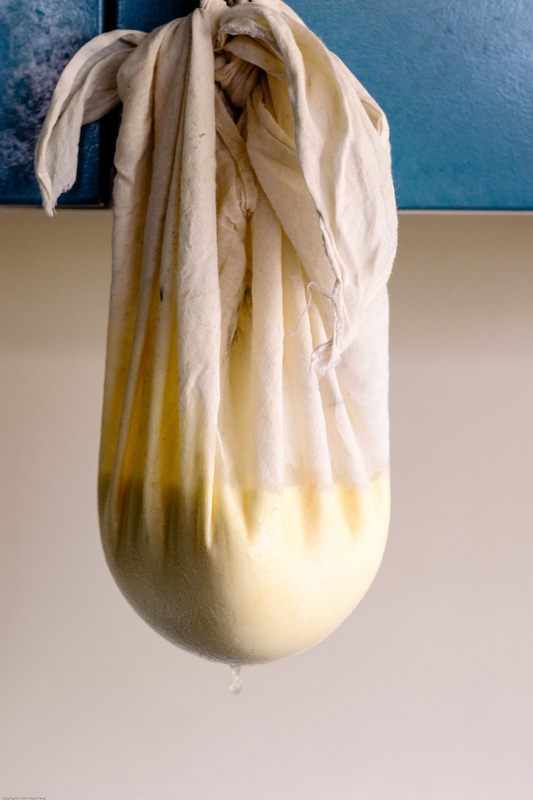 Labneh, also referred to as ‘yoghurt cheese’, is simple to make at home and is a great way to add variety to your consumption of probiotic dairy foods. Labneh has a lovely creamy texture with a consistency similar to cottage cheese, thick and smooth. Lightly salted and with the addition of your favourite herbs, it is wonderful as a spread or a dip. Homemade yoghurt and milk kefir are perfect for making labneh, providing you with not only a rich probiotic spread but also a lovely bowl of probiotic whey. Set a sieve above a bowl and line with cloth. Pour yoghurt or kefir into the lined sieve. For quickest results, tie the ends of the cloth around the handle of a kitchen implement or cupboard handle so that it is suspended above the bowl and leave it to strain for approximately 12 hours (you might like to get someone else’s help tying the cloth as it would be a shame to see half your kefir running down the bench. Just speculating, *ahem*). Alternatively, simply tie the corners of the cloth together and weigh down with a heavy object (a small bowl with water in it works well) – this will take more like 24 hours. If you prefer a denser consistency, let it strain for another 12 hours or so. Note: During summer (or at temperatures above those of Wellington mid-winter), I suggest you transfer the bowl and sieve in the fridge to strain. Unless you enjoy your labneh very tangy that is! Turn out the strained labneh into a bowl and stir in the salt, lemon zest, and chives. 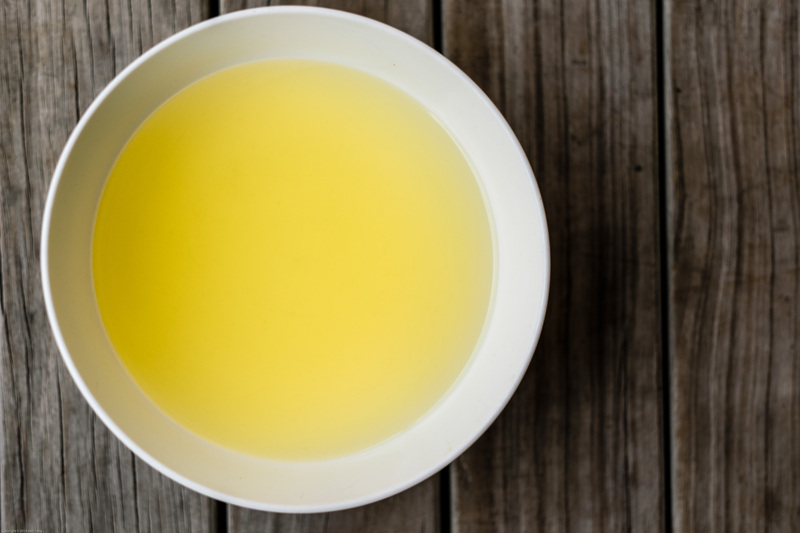 Drizzle with olive oil and serve immediately, or cover and store in the refrigerator. Keeps for up to a week. Labneh is a traditional food of the Middle East where it is generally served with the addition of herbs, spices and olive oil. It may also be dried, formed into balls and stored in olive oil. You might like to experiment flavouring it with crushed coriander or cumin seeds, garlic, lemon zest, a pinch of za’atar, paprika or dried chilli, and finely chopped fresh herbs such as chives and parsley. Serve smeared on grilled bread, or as a dip with crackers. Sweetened with honey or maple syrup, or flavoured with vanilla paste, rose water, natural essences and chopped dried fruits, labneh can also be used as a sweet spread or even as icing. Although it can be tangier than cream cheese, labneh makes a happy stand in. Check out my ‘Desserts, yoghurts & more’ and ‘Spreads, dips and sauces’ Pinterest boards, or just let your creativity lead you.